News What’s a trademark license and why is it important? Dear readers, welcome to the Legal Corner. Remember when Mom warned us not to feed the animals at the zoo? We don’t either. So we’ve taken some fresh meat — questions about the legal ins and outs of licensing — and served it up to our salivating, wild-eyed, they-really-should-not-be-allowed-to-get-so-close-to-the-children corporate attorneys. With great trepidation, we reached into the cage-er, I mean, the interweb-to retrieve their reply and bring it to you. Do I need one to drive the forklift? The company that produces Tide® brand laundry detergent has invested a lot of resources not only in the product itself but also in educating consumers about the value of its product. It also has a responsibility to make sure that any product associated with the Tide® trademark, from other types of cleaning agents to accessories like laundry bags and fabric softeners, is of a certain quality and has certain features. To do this, the company can either manufacture everything themselves or give another company, a “licensee,” the right to use the Tide® trademark on certain products. That right often comes with a lot of strings, most notably an obligation on the part of the licensee to abide by certain quality standards. In that way, the licensee’s goods uphold the value and meaning of the Tide® trademark. The license is the legal mechanism used to accomplish all this. While a trademark license is important to anyone seeking to use someone else’s brand or logo on their products, it’s not much use when operating a forklift. Unless you need the paper to plug an oil leak. Tide® is a registered trademark of The Procter & Gamble Company. The information and opinions expressed here are for educational purposes only and not intended as legal advice or to reflect the opinions or positions of the Boy Scouts of America. 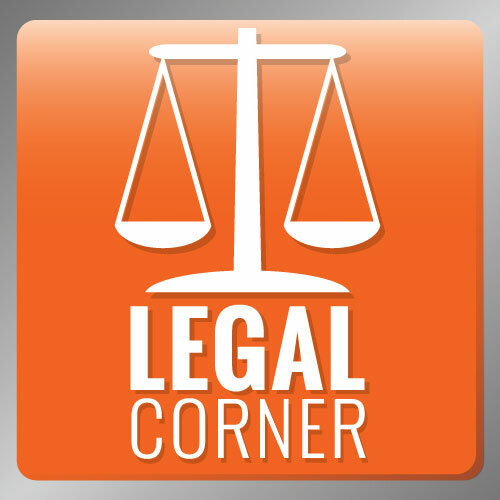 Specific questions about the topics discussed in the LEGAL CORNER should be referred to your own legal counsel. Burgin Hardin the Licensing and Contracts Attorney for the Boy Scouts of America. In this role, he manages the BSA’s intellectual property portfolio, advises BSA business units on matters related to trademark and copyright law, and provides legal counsel in a variety of commercial transactions. Burgin graduated from Davidson College with a B.A. in History and earned his law degree from the Wake Forest University School of Law.